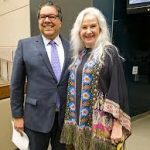 Congratulations to Sheri D Wilson, Calgary’s New Poet Laureate! 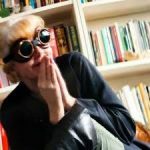 See Sheri D this July during the Readers & Writers festival, July 19-22. There will be two opportunities to see this dynamic poet and spoken word artist on stage right here on Denman Island. In the meantime, check out these links for more info on her.